During the Cold War days, North Korea and the former Czechoslovakia were allies in communism. More importantly, they were also economic partners, with Czechoslovakia giving North Korea an estimated $10 million dollars worth of farm equipment, trams, and other heavy machinery. North Korea never repaid that debt, because the country is so broke it can’t even pay attention. Now, Pyongyang wants to meet somewhere in the middle and pay off its debt to the now-Czech Republic with 500 tons of ginseng root. 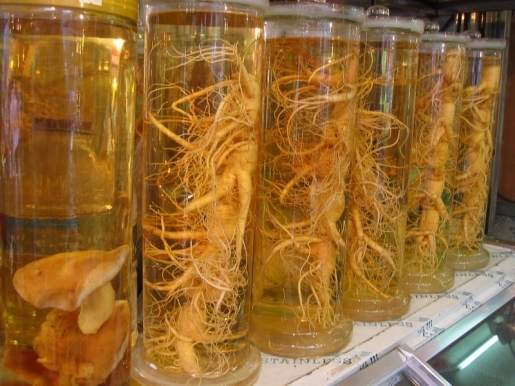 Ginseng, an herb used in tea that supposedly has mystical health powers, is very popular in Asia. Korean ginseng is considered the cream of the crop when it comes to tea additives. However, the Czech Republic only uses about a ton of ginseng a year, so North Korea’s offer of a 200-year-supply of ginseng seems a bit excessive/useless. Plus, that amount of ginseng is worth only $500,000, and the Czechs are not about to forgive 95% of North Korea’s debts. Prague countered the ginseng offer with a request for zinc. North Korea has yet to respond. Probably because they’re trying to find change in the couch cushions to make a phone call with.